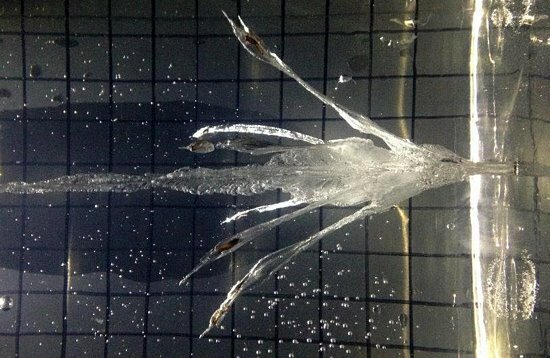 Pistol bullets haven’t gone any radical changes since they were introduced a long time ago. Especially the end of the bullet that is supposed to strike the enemy and neutralize him hasn’t had any radical changes. But, after seeing this RIP bullet from G2 systems, you will be forced to think otherwise. Radically invasive projectile (RIP) is a formidable weapon to look at with its various jaws protruding from the end. Not only that it looks scary, it is capable of inflicting heavy damage. Originally, it was built for gun-wielding women to ward off any predators stupid enough to cross their path. 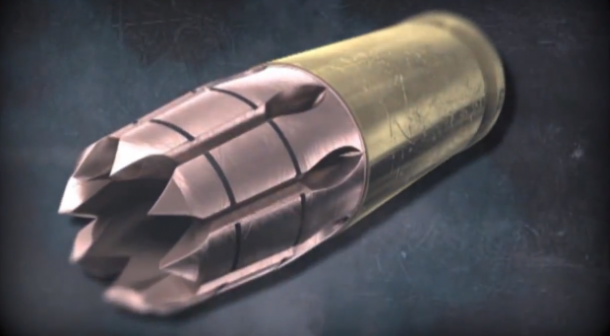 The company behind this bullet of destruction call it the last round you will ever need. It is easy to understand why. The bullet causes deep spiral wounds at the point of entry, injuring its victim deep within. Then, the forward momentum of the bullet is used to send the detachable edges ripping into the internal organs and causing fatal injuries. It carries shrapnel everywhere, and it also increases the proximity damage of the bullet. This is a very dangerous bullet invented, and its production must be controlled and not let in the hands of the general public. The public has had enough public shooting cases and hundreds of people getting injured every day in these unfortunate incidents. However, in covert operations and hostage rescue, this weapon will be more effective than normal ones. Despite this being a deadly bullet and will help law enforcement agencies, do we really need more weapons and bullets in this age of violence? Let us know your thoughts in the comments section. I use f9bple a +p+ 9mm which has great street cred . It expands and frags violently once inside the body . It is probably a better round than this new wonder round it is definitely more accurate and reliable the armchair experts and gel test guys don’t like it however the major ammo company’s always push their latest expanding wonder bullet .In reality they miss the point entirely .If a load had better street cred and data why retire it just to sell the new the wonder round . Yes, this is a very devastating projectile indeed and I see the pros and cons to citizens being able to own this type of ammunition. I see that the bullet fragments shortly after impact as well as expands, making it the most devastating and potentially a “One shot, one kill” pistol round, due to the unique design. That being said, if the design is designed for fast expansion and an extremely minimal chance of over penetration, then I see that as a plus for the law abiding citizen. If it’s sole design is to be a one shot, one kill type of round with special tactical features that most gun owners, myself included, would not know about due to the lack of knowledge in dealing with urban or close quarters terrorism/hostage response, then maybe it should be for military and law enforcement only. I cannot tell just how far the bullet itself and it’s fragments travel in inches in the ballistic gel, but it is quite obvious that fragmentation and expansion are done shortly after impact and penetration. With a center mass shot, I don’t see this as a round that one is likely to survive due to the devastating damage and hydrostatic shock. I promise you, I do not want to be hit with this round so that brings me to the point that if I had access to it as a law abiding, 2nd amendment supporting citizen, then this round in the hand of the violent criminals that make it necessary to carry a gun for self defense, it probably needs to be a round for military and police and not the general public, unless advanced training and licensing/certification was sufficient enough for that particular bullet ownership. The world is filled with lethal weapons already, more sophisticated ones means more and more death toll. It not the lack of ideas and technologies to invent a new and better weapons ( I have a lot of it), but what’s the point, after-all the aftermath ends up in loss of precious innocent lives and pure and polished chaos and destruction. The worst part of everything is having this deadly weapon in the hands of the deranged, deluded and negatively-determined people: terrorists I guess; they are aimed at utilizing this creation to it maximum potentials and abilities. The inventor of this surely thought he’s a thinker and a scientist, but he’s just a mere indirect bad-guy; he got bloods on his hands too, I hope he will be able to live with it. World war 3 is undoubtly plausible now, the world should be more careful of weapons. What always strikes me is the stunning amount if creativity and skills available to invent ways to harm and kill people. Problem being: the “technology ” is available to all. So at the end of the day more innocent than dangerous people become victims. What about the few super-human drugs(PCP, Meth, Bath salts, etc.) that in fact, can cause some subjects to easily withstand a standard gunshot wound, do to boosted serotonin levels in the brain. Sometimes the brain doesn’t register pain, but the lungs are guaranteed to have trouble working with shrapnel punching holes through them, and the heart will always stop once it bleeds out. Those organs will not be affected by the drugs other than, both breathing and heart rate will be increased from the drug, which means if hit by multiple projectiles they will drop even quicker (faster heart rate, blood runs quicker). Oh and just for the record my theory is, yes these bullets are very deadly, but think of this, if your running standard HP ammo and your “PCP or meth” crazed attacker doesn’t quit after the first shot in a self-defense situation, you then have to fire more rounds up-ing your chances of stopping them, while increasing danger to innocent bystanders(more flying projectiles=more risk) versus ONE flying projectile, that spreads in different directions once it hits its target, causing more internal destruction to the attacker and only the attacker, who then will drop like a sack of potatoes! (ONE flying projectile=less risk) “G2 R.I.P” only becomes multiple projectiles directly after entering soft tissue, not before. It is like a “slug” that turns into “00 buck”. Even the “United States Marine Corps” has a motto “One Shot, One Kill”, this ammunition now makes that motto easier for armed citizens, military, and police to guarantee. God Bless. It’s a dum-dum bullet and as such breaches the Geneva convention and is therefore illegal. I’m an old fart and this is called a dum dum bullet. Invented 20 seconds after the first pour. I dont think all this is necessary. Up to which point should we, on this Green Earth! , kill to find peace cuz I doubt the potentiality of a victim surviving? If someone wants to hurt my family I want to f*ck them up as much as possible, but in truth these look gimmicky and like they have a high potential to jam. Its sad but probably necessary, however unlawful possession, military or civil should bring a sentence equivalent to class a drug supply….including death penalty where mandatory. This should never be used, particularly by law enforcement; their job is to serve and protect, not to maim and kill, which is the principle benefits of this ammunition. The only place that I can see this being of any use would be for military applications, but do we really want to use bullets that even if they don’t kill, send a message of violence and brutality. Not to mention the damage that it would cause to innocents, those who would be maimed and scarred for the rest of their lives. It would help law enforcement by being a one-shot killer. Also, expanding ammunition always has the advantage that it does not over-penetrate, meaning any innocents nearby would not be harmed by over-penetrating projectiles. To tell you the truth, I think already existing JHP ammo such as Black Talon n others, which have a high expansion rate are more than enough to fill this role and I do not know how this is an improvement rather than an overkill. Even if it were to be put in use, this should only be issued to the QR teams ( I believe you call them SWAT there) and not beat cops and first responders. This is Hostage Rescue stuff. I hate to bring this up, but in war you want more casualties than deaths. If you maim a soldier, it’s going to take another one or two people to take care of him. If you maim them as well the effect compounds. It takes soldiers off the battlefield. Anyways these rounds are terrible. They have little to no penetration due to lack of mass and can be stopped by a heavy enough Canadian tuxedo. I think controlling access to the public is already out of the option. 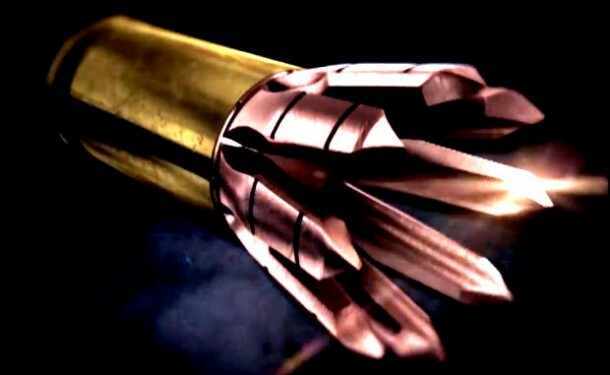 If people could manufacture their own ammunition then they could easily machine or mould a bullet head in this design. Maybe not perfect but could be equally lethal and with enough test and trial it would work just the same. I do believe we would soon find diy blogs or videos guiding people on how to make one. One hit from this bullet is worst than a burst of machinegun or shotgun pallets. Best case scenario is the loss of limb or amputation….but mostly I think death from the excessive damage inflicted. If any of this falls in the hands of irresponsible people, maniacs, criminals, and terrorists — soon on the news there would only be reports of death by gunshots and “zero injured” — nobody could survive a bullet hole made by this ammo. Just because G2 say it’s super deadly doesn’t mean it is. A 9mm Parabellum loading of RIP has about as good penetration as a .32ACP, ergo, a massive downgrade in terminal performance for a fantastical mark-up. The trocars don’t do anything useful at all, we’re talking ugly but superficial wounds that don’t much matter. An old Colt 1903 pistol with a magazine of regular FMJ rounds will have just as good terminal performance as a Glock 17 with magazine of RIP. A Glock 17 with a magazine of FMJ or hollowpoint ammunition will outperform both. The fact that G2 have shamelessly tried to guerilla market their products online desperately on any forum they can find reinforces the notion that they know the RIP is overpriced gimmick. Any bullet that leads to a certain death should be forbidden, as this one. I can’t believe there is a company somewhere in the world spending its resources in such a barbaric endeavour. This type of weaponry shouldn’t be in the hands of anyone where there is the potential of an innocent getting hit. And its even more bad news now that the baddies know about this. I am very certain they’ll either get their hands on this or even make it themselves. Nice research but Engineering helps to make life easy. Do not use engineering skills to kill. What i say after this this new era of such bullets has started….!! Thanks to share wonderful technologies always. Its really amazing to read about the new Bullet , great research and invention. I don’t think we need more weapons to be deadlier, overall, more weapons at all. Sure, there is a good intention behind, just like all weapons that had killed countless of people before. The thing is that those weapons are getting easier to manage, to get into someone’s hands, easier to kill anybody. How does anyone can expect that creating more weapons in a world like this could be good for anyone?